The plant Trigonella foenum-graecum, more commonly known as fenugreek, produces seeds useful as a spice and as an herbal remedy for various conditions. 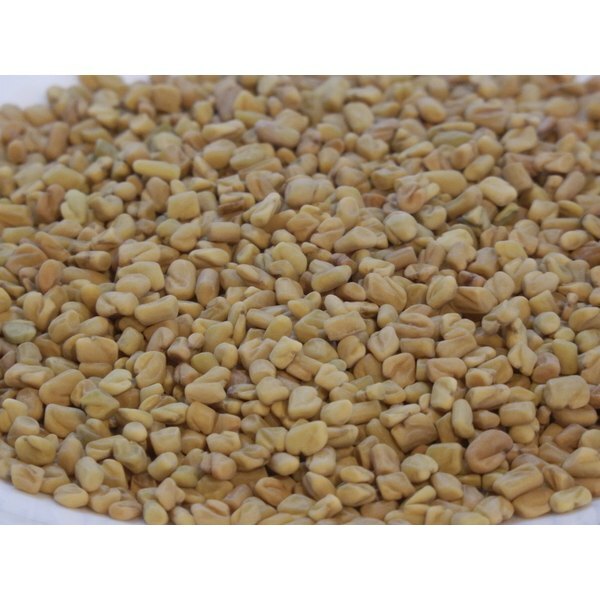 Fenugreek has a role in Ayurveda, the traditional medicinal system of India, and has long been used for health purposes throughout the Middle East. Consult a qualified health care provider before beginning any herbal therapy. Research with humans and animals has found that fenugreek decreases blood sugar in diabetic people, according to the Beth Israel Deaconess Medical Center, or BIDMC. Taking 1g per day of a standardized fenugreek extract has significantly improved blood sugar regulation and insulin response. Diabetic patients also experienced a decrease in triglyceride levels and an increase in high-density lipoprotein cholesterol, the so-called good cholesterol. Fenugreek seeds may work by inhibiting absorption of glucose and cholesterol in the gastrointestinal system, explains the Memorial Sloan-Kettering Cancer Center, or MSKCC. Fenugreek has a traditional use for increasing milk production in nursing women. Not enough evidence supports this use, according to the MSKCC, but some health care practitioners disagree. Kathleen Huggins, registered nurse and lactation consultant, suggests fenugreek to breastfeeding women who don't produce enough milk. Writing at the BabyCenter website, Huggins notes a very high success rate with this herb. Animal studies show that fenugreek has protective effects against alcohol-related liver damage, according to the MSKCC. In addition, laboratory studies indicate that fenugreek has anti-cancer effects. Research with humans is necessary to confirm these benefits. Fenugreek capsules containing ground seeds are available at health food stores. Standardized extracts provide specific concentrations of active ingredients. Standard dosage ranges from 5g to 30g defatted fenugreek seeds three times per day, taken with meals, according to the BIDMC. For lactation stimulation, Huggins recommends two or three capsules at 580mg or 610mg three times per day. For any purpose, you can start with a lower dose and increase it if necessary. As a spice, whole or powdered fenugreek seed adds a distinct flavor to curry powders, pastes and sauces. When using dried seeds, lightly roast them before adding them to recipes, advises the Epicentre Encylopedia of Spices. You can easily grind fenugreek seeds after roasting. Use a small amount to complement other spices, but avoid adding too much because of the bitter flavor. Epicentre notes that fenugreek is a good addition to curried fish--especially for strong-flavored fish such as tuna and mackerel--and for adding zest to vegetable dishes. BabyCenter: Can Fenugreek Increase Milk Supply?